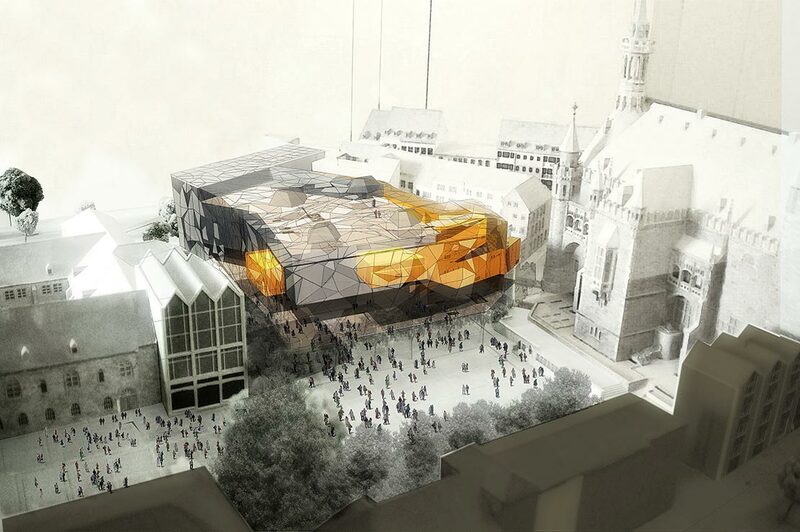 In the complex mediaeval fabric of the centre of Aachen, the urban function of the future EKAA – House of European Culture – is to finish framing the Katschhof Square, a place emblematic of mediaeval Europe, with the Dome of Charlemagne standing at one end. 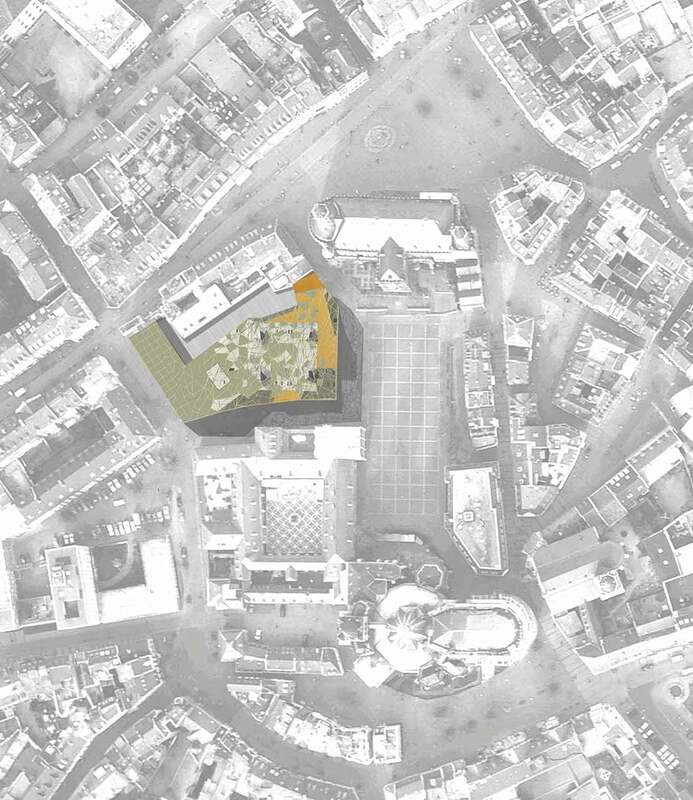 The project’s exterior envelope consists of a lattice that makes reference both to the theme of Europe and to that of the stained-glass window, a historic feature that is present on the site. Its design is inspired by the map of the regions of Europe, an identity born of the union of singularities. 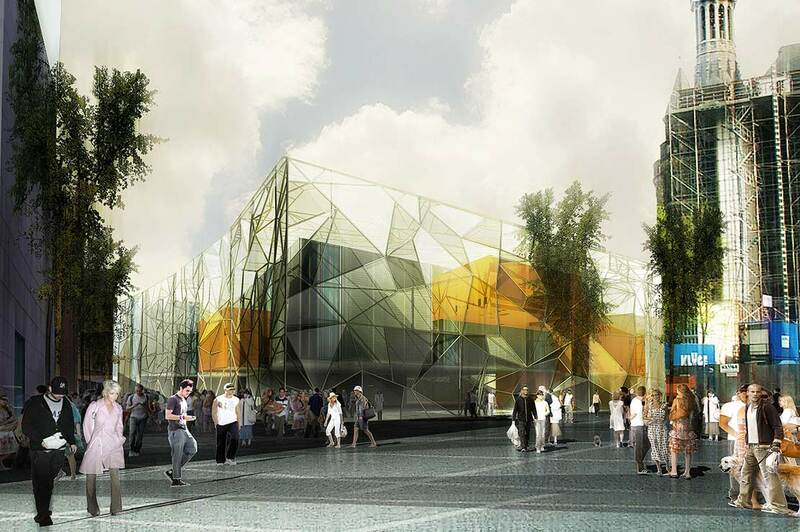 The building’s image is produced by this envelope composed of a multitude of different modules of glass. 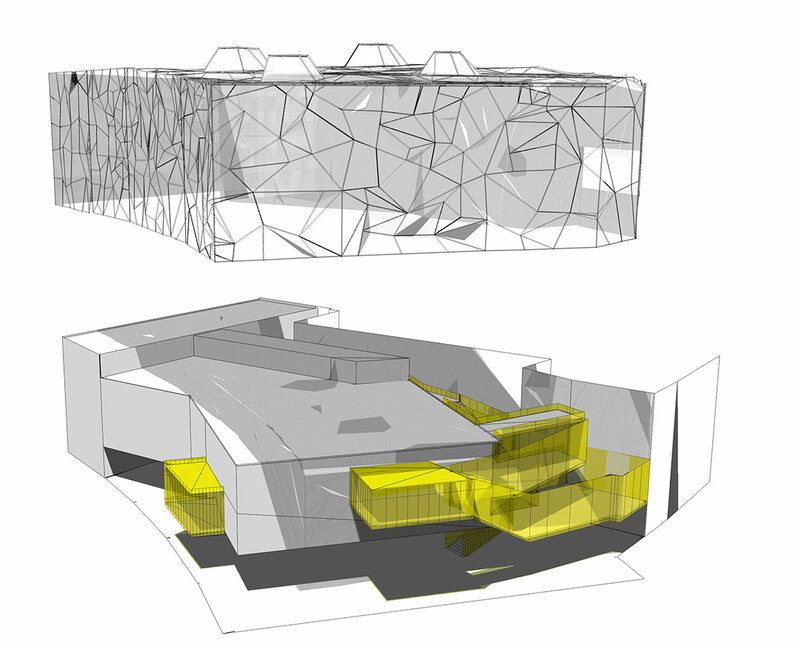 The combination of these modules creates a three-dimensional stained-glass structure, echoing the stained-glass windows of the façade of the Dome, which closes the southern side of the square. The lattice is a self-supporting stainless steel structure. It holds the glass volumes on the façade, which alternate with solid modules and photovoltaic cells on the roof. This latticework envelops the whole building, determining the urban scale and controlling the temperature. Set back from the lattice, the exhibition rooms are organised into a closed, two-storey volume. 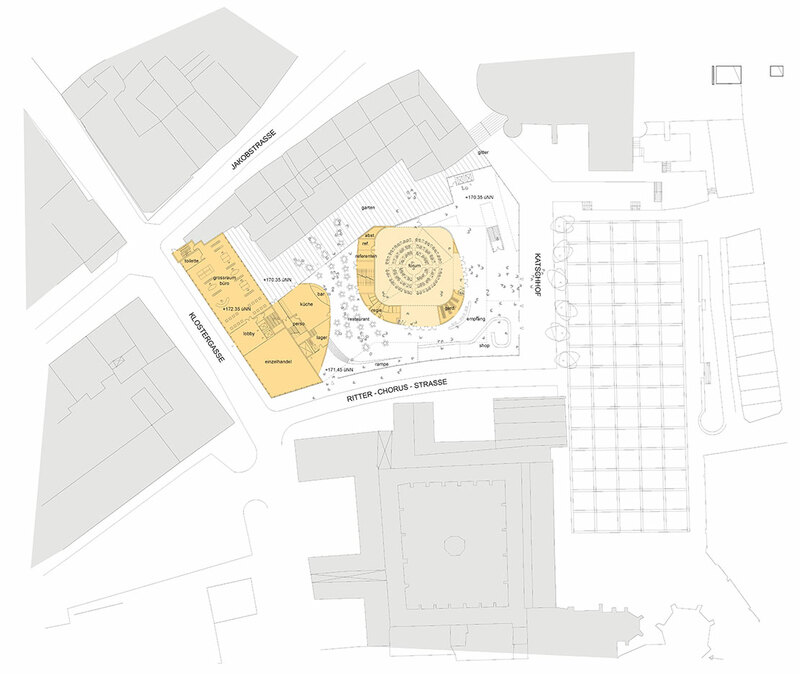 By contrast with the shape of the envelope, which is determined by the plot and the urban requirements, the design of the exhibition rooms is simple and calm, based on a square measuring 27 m x 27 m. The open, pillar-free layout makes it possible to accommodate any type of exhibition and scenography, with natural or artificial lighting. In the space between the lattice/stained-glass window and the volume of the exhibits are installed the main system for movement between floors together with the salons, which provide a moment of rest during the visit and framed views onto the exterior. Hérault Arnod Architectes lead architect.